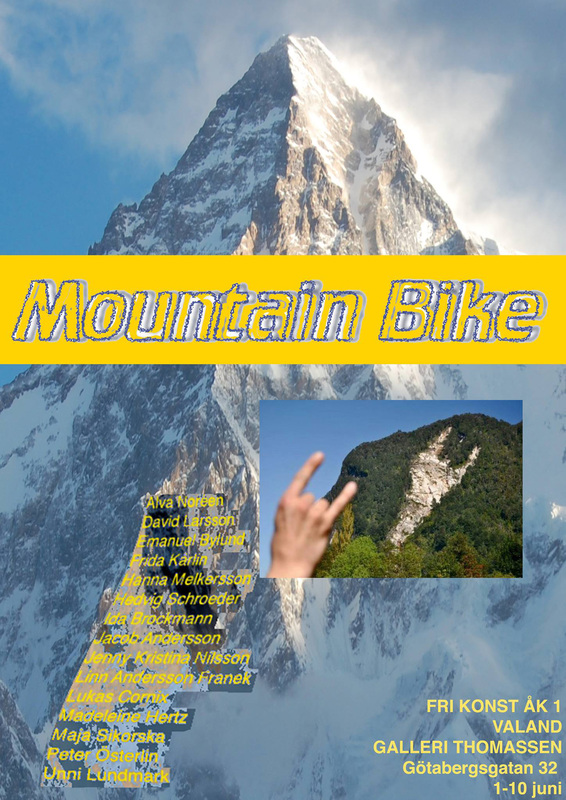 A mountain bike is a bicycle designed for off-road cycling. Mountain bikes share similarities with other bikes, but incorporate features designed to enhance durability and performance in rough terrain. Mountain biking as a sport requires endurance, core strength and balance, bike handling skills, and self-reliance. The title Mountain Bike could be read as a metaphor for moving forward in what could be described as upwind and the self-strength that may be crucial for that action.